We’d love your help. Let us know what’s wrong with this preview of Net Smart by Howard Rheingold. Like it or not, knowing how to make use of online tools without being overloaded with too much information is an essential ingredient to personal success in the twenty-first century. But how can we use digital media so that they make us empowered participants rather than passive receivers, grounded, well-rounded people rather than multitasking basket cases? In "Net Smart," Like it or not, knowing how to make use of online tools without being overloaded with too much information is an essential ingredient to personal success in the twenty-first century. But how can we use digital media so that they make us empowered participants rather than passive receivers, grounded, well-rounded people rather than multitasking basket cases? In "Net Smart," cyberculture expert Howard Rheingold shows us how to use social media intelligently, humanely, and, above all, mindfully. To ask other readers questions about Net Smart, please sign up. Recommends it for: Anyone looking to get into or understand online social media. This book covers what seems to be very familiar ground to anyone that spends time on the Internet these days, but as one get s further into it, the author takes a deeper look at the Internet, society, and psychology. A good look at how the Internet has affected and will affect our daily lives is presented, accompanied by reasons why it did/will do so. The subject matter is very complex and technical, but for the most part presented in a very readable fashion for those who don't live for the those This book covers what seems to be very familiar ground to anyone that spends time on the Internet these days, but as one get s further into it, the author takes a deeper look at the Internet, society, and psychology. A good look at how the Internet has affected and will affect our daily lives is presented, accompanied by reasons why it did/will do so. The subject matter is very complex and technical, but for the most part presented in a very readable fashion for those who don't live for the those aspects of online interaction. The author positions himself smack in the middle of things examining the pros and cons of social media and the Internet. In fact one of his big points is how to add a crap-detector into your online experience to make yourself a little safer. This book educates you on all sides, then lets you decide what parts of the Internet you want to use (if any), and how to use them without someone taking unfair advantage of you. Net Smart is an interesting take on the potential of the Internet. It is optimistic in its outlook of what we as humans can do together through the web. But Rheingold also points out that each person has the responsibility to participate and contribute to the online communities, because what people do on the internet and what they use it for now will influence how the web develops. That is, we can directly contribute to what’s available on the web as well as direct how the web will work in years Net Smart is an interesting take on the potential of the Internet. It is optimistic in its outlook of what we as humans can do together through the web. But Rheingold also points out that each person has the responsibility to participate and contribute to the online communities, because what people do on the internet and what they use it for now will influence how the web develops. That is, we can directly contribute to what’s available on the web as well as direct how the web will work in years to come. His approach to pulling readers out of passivity and offering them the driver’s seat is to help them understand the controls in front of them and how they can be purposeful about what they give their attention and participation to. Rheingold starts with explaining that attention is powerful. When people who go online direct their attention purposefully, they take control of their situation. Then Rheingold talks about how to filter the content online, from detecting good sources of information to finding new sources. The next section is about how participation works as a driving force to funding and companies on the Internet. Then Rheingold goes into different platforms that encourage collaboration. He optimistically remarks on all that can be achieved when many people come together to work on projects for the common good. The next area is related to collaboration: the social networking functions of the web. Rheingold closes the book with several issues raised by the ways people interact on the Internet, such as copyright with remix culture, and how to respond to how kids are using the internet. An interesting aspect of this book is that it’s old media—a printed book—offered to help ease the reader’s mind about new media. I particularly like the urgency to Rheingold’s message. We can change how the Internet works if we understand how participation and mindfulness affect more than ourselves. And understanding how to use the Internet to gain and share knowledge and build communities will put the power in our hands instead of a digitally literate elite. Interesting read, helpful to get a new view of the Internet and how it can work for good. 1-Attenzione! Come e perché controllare il più potente strumento della vostra mente , in cui si considera il multitasking e di come regolare i comportamenti in rete in modo da avere sotto controllo l'attenzione, sia come capacità concentrativa, sia come disposizione verso l'altro virtuale, nonché presente. Interessante anche in riferimento alle affermazioni neuroscientifiche che confermano che la nostra mente non riesce ad eseguire più di un compito alla volta. Il passaggio continuo da un problema all'altro comporta un alto dispendio energetico. L'autore propone alcune soluzioni per riacquistare un proprio equilibrio psicofisico, distribuendo e controllando l'attenzione. 2-Rilevazione delle bufale. Come cercare le informazioni in Internet e, soprattutto, come non cascare nel flusso di quelle fasulle. 3-Il potere della partecipazione Quali sono in concreto le modalità di espressione della cultura partecipativa. 4-Il know how sociale-digitale Cosa sono le reti sociali e i social media, come influenzano il nostro comportamento e come interagiscono rispetto alla qualità e quantità delle informazioni e dei nodi di contatto. 5-La forma del sociale Come si esprime l'intelligenza collettiva, quali sono le azioni in cui si manifesta. Una sezione del capitolo è dedicata all'apprendimento sulla rete. 6-Come il web (in modo consapevole) può renderci più intelligenti Nozioni di consapevolezza rispetto all'uso della rete e dei social media. This was another book that I assigned for my Composition course, but this one did not go over as well as Hamlet's Blackberry. My students really wanted to like this book better, seeing as they agreed more with Rheingold's central argument--that the answer to being over-connected is to become BETTER at it--than they did with Powers'--that the answer to being over-connected is to strategically disconnect. However, Rheingold's dense and hard-to-follow prose frustrated them so much that they had a v This was another book that I assigned for my Composition course, but this one did not go over as well as Hamlet's Blackberry. My students really wanted to like this book better, seeing as they agreed more with Rheingold's central argument--that the answer to being over-connected is to become BETTER at it--than they did with Powers'--that the answer to being over-connected is to strategically disconnect. However, Rheingold's dense and hard-to-follow prose frustrated them so much that they had a very hard time understanding his information, which is a shame, as there is a lot of good information here. A fun and relevant guide for living meaningfully and productively online. With so much (valid) criticism from media scholars about the dangers and pitfalls of hyper connection and social media, this was refreshingly different. Rheingold offers a measured and calm look at how one can mindfully adapt to the connected world and benefit from connecting to social and learning networks. 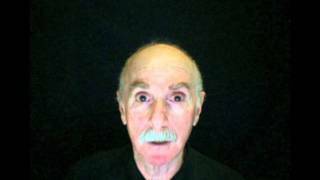 Howard Rheingold immediately won my attention with his call for mindfulness; something I've been working on in other areas of my life. My biggest take-away is that if I really want to get something out of social media and make it work for me, I need to pay attention, understand the platform and reflect regularly. Social media is here and will continue to evolve, just like us. It's more than clicking, liking and RTing. It can help me sift through the info pollution in my inbox/feed and help amplify my thoughts and causes. I recommend this book to new and seasoned social media users. When was the last time you checked your privacy settings? A dense read that is worth your time. It will make you think how about you how to use the net and how best to educate your students and children to use the net. In each chapter (with the last chapter being a recap), author Howard Rheingold outlines five digital literacies that he believe are needed to be a digital citizen; they are 1) attention, 2) crap detection, 3) participation 4) collaboration, and 5) network smarts. For those who do not have time for the entire book, Rheingold does a nice j A dense read that is worth your time. It will make you think how about you how to use the net and how best to educate your students and children to use the net. In each chapter (with the last chapter being a recap), author Howard Rheingold outlines five digital literacies that he believe are needed to be a digital citizen; they are 1) attention, 2) crap detection, 3) participation 4) collaboration, and 5) network smarts. Very informative and well researched.. Having been exposed to a lot of IT related topics, I particularly liked Chapters 1 for mindfulness, Chapter 4 for social digital, Chapter 5 for social network analysis. I am perplexed by the number of books cited in, chapter 6 and the number of quotations that dominated the entirety of the book apart from chapter 4 and 5. These two chapters shows where the author is truly passionate with. Overall, I am happy to have learned or got reminded of a lot of interes Very informative and well researched.. Having been exposed to a lot of IT related topics, I particularly liked Chapters 1 for mindfulness, Chapter 4 for social digital, Chapter 5 for social network analysis. This book is a must for anyone teaching media literacy especially Internet literacy. A excellent read for anyone who just wants to find makes to keep their use of the Internet from becoming an obsession. Plenty of great information on how to sort out the absolutely overwhelming amount of information we have at our fingertips at any moment. Rheingold's other works such as The Virtual Community and Smart Mobs were well written and very readable. Net Smart clearly moves him into the realm of academi This book is a must for anyone teaching media literacy especially Internet literacy. A excellent read for anyone who just wants to find makes to keep their use of the Internet from becoming an obsession. Plenty of great information on how to sort out the absolutely overwhelming amount of information we have at our fingertips at any moment. Overall, useful content and important topics thoughtfully presented. I felt the writing could have been tighter and more concise, though. The academic tone was so tedious in places that it made me wonder whether the author was writing to impress his fellow professors or (as he claimed) to inform a general audience. What I appreciated most about the book were the copious end notes, citations, and supplementary online resources (including a high school syllabus). This book explains how one can benefit from the internet, and social media in particular, without getting overwhelmed by bad pages. He begins by discussing the concept of attention and why it is important to control where one directs attention while online. Then he goes on to provide meods for filtering out bad pages and for collaborating and sharing data. Very interesting ideas, but too many quotes and too mich text for the amount of relevant information provided. If you use the web, you probably unconsciously practice many of his strategies. That said, there were a few sources that were new & potentially useful for me. Also, his information on focus & attention in this world of distraction is useful. Overall, it was interesting but I had a difficult time getting through it. Even the intro went on forever. "Here's what I will cover in the first chapter..." And so on, and so on, covering all the chapters for like the first 30-40 pages. An excellent read that I recommend for anyone who is new to the internet or concerned about their child's internet usage. I considered myself fairly internet savvy before I began this book, but still learned a thing or two and was also able to rethink the big picture of my history as an internet user and more effectively allocate my online time and priorities. Howard does a really good job explaining literacy in a digital age. Maybe more than his other books, this isn't a fast read (which doesn't mean it's bad). You will need to sit down and dig into it, but he pulls so much from his other books that this almost feels like a summation of 30 years of his thinking on the Internet and Web. Howard Rheingold's new book (3/12) ~Net Smart: How to Thrive Online http://bit.ly/sj5EOd Outlines 5 mindful "digital literacies" that go way beyond the concept of "information literacy," although that's included: attention, participation, collaboration, critical consumption of information (or "crap detection"), and network smarts. I wasn't sure how much I would get out of this book, but ended up really enjoying it and highlighting several pages for later reference. Chapters 3 and 4 were the ones that I found to be most useful- "Participation Power" and "social-Digital Know-How: The Arts and Sciences of Collective Intelligence". An overview of the way the "net" functions today and how we interact with it - from the individual (searching, mindful attention, crap detection...) to the collective (Wikipedia, social capital, Facebook...) I liked the arguments, but the book is dense and hard to read. The best argument of all is that we need to teach people (both young and old) net literacy and basic net skills. (Disclosure: I skimmed, and I skimmed hard.) Some interesting points, but not as useful or eye-opening as I hoped it would be. But then again, I'm a pretty net-savvy power user. I liked the discussion on applying mindfulness in the introduction - it's not something I had previously associated much with internet use. As a professor teaching a required First Year Writing course, I believe I must empower students to read and write and digital spaces. This book taught me a lot about navigating digital environments, and gave me a lot of ideas for class. I'm enjoying this one by a friend and colleague, Howard Rheingold. This book will be on my "currently reading" shelf for a long time, because I will refer to it from time to time. A lot materials to pursue further, and use as background materials for some of the classes I am planning. Rheingold has studied online communities for more than 25 years and is probably one of the most influential authors in the field. This book is an update on crucial concepts in the area. Not a must read but certainly a good work for anyone entering in the field. Really helpful book! Rheingold talks about the new literacies involved in understanding the net - ones that have always existed, but have become essential when accessing the web. He really backs his research up and presents a great argument for why we need a more digitally literate culture. This book gave me a lot to think about as I attempt to incorporate technology into my classroom more & more. I want my students not only to use technology but to think about their use of technology in a meaningful way. I'm so not there yet, but at least now I feel like I know how to begin. Was probably written targeting an older audience who has a harder time understanding the Internet and the way it's changing our culture and way of communicating than those of us who grew up with it. Aloha! I'm always excited to interact with readers. I'm new to Goodreads but will do my best to check in from time to time. A great deal of info and resources, articles, videos, can be found on my website, which I will list here. I'm 65 and live in Marin County, California -- just north of the Golden Gate -- and when I'm not writing (and when weather permits, when I am writing) I'm usually to be f Aloha! I'm always excited to interact with readers. I'm new to Goodreads but will do my best to check in from time to time. A great deal of info and resources, articles, videos, can be found on my website, which I will list here. I'm 65 and live in Marin County, California -- just north of the Golden Gate -- and when I'm not writing (and when weather permits, when I am writing) I'm usually to be found in my garden. I've been a writer my entire adult life, starting at age 23, although I do a lot of other things, teaching at Stanford among them.